I’ve said it before, but it is worth repeating. We are so fortunate at Imagine! to have so many accomplished friends in the community who actively support our mission. Today, I’d like to congratulate two in particular who have recently been honored for their work in their own respective fields. Imagine! Foundation Board of Directors member Julie Vlier was recently honored by the American Council of Engineering Companies of Colorado as the 2010 Outstanding Woman in Engineering. The award was created to recognize women for their professional achievements in the engineering field, and Julie, a manager in the water resources division of Tetra Tech, is most deserving of this prestigious award. 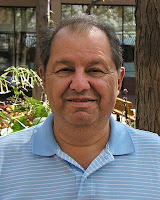 And our good friend George Karakehian, who is also a member (and past president) of the Imagine! Foundation Board, has been inducted into the 2010 Class of the Boulder County Business Hall of Fame. George, owner of Art Source International in Boulder, has been described as Mr. Downtown Boulder for his efforts to promote the downtown and Boulder. George’s tremendous efforts on behalf of Imagine! demonstrate that it would be equally appropriate to describe him as Mr. Imagine!. Congratulations to Julie and George, and thanks for all you do for our organization and the individuals we serve!